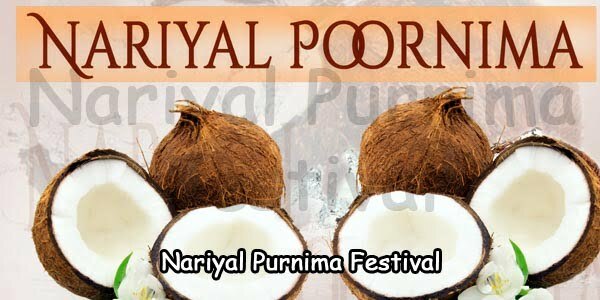 Kajari Purnima, a festival that comes on Shravan Purnima, is mainly celebrated in the states of Chhattisgarh, Madhya Pradesh and in some parts of Uttar Pradesh. This festival marks the end of monsoon season and hence it is of great significance to the farmers. 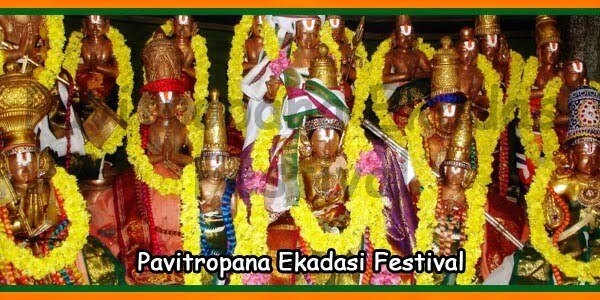 Preparations for the festival of Kajari Purnima begin on Kajari Navami which falls on the ninth day after Shravana Amavasya. Ceremonies of the festival are usually performed by women who are blessed with a son. 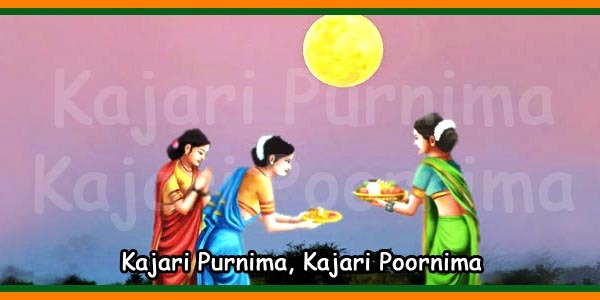 The festival ceremonies continue till Kajari Purnima, the full moon day. On the day of Shravan Shukla Navami, women go to their fields and fetch soil in cups made of leaf. After sowing barley in it they keep the leaf cup in a dark room protected from sunlight and fresh air. The floor and the surrounding walls of that place are purified by washing and cleaning with mud as well as cow dung and are further decorated by drawing sketches and patterns using rice solution. The themes of the figures are usually related to household articles and actions. However, it is mandatory to draw figures of a house, woman with a water jug, child in a cradle, and a mongoose. This unique art of drawing figures using rice solution on mud floor is known as Navami. Then they worship the leaf cup. The worship continues for seven days and ends after performing the final ritual on the evening of the full moon day. Then the women carry the leaf cups on their heads and move out in procession. They go to a water pond or some other water body and immerse the leaf cups on it. 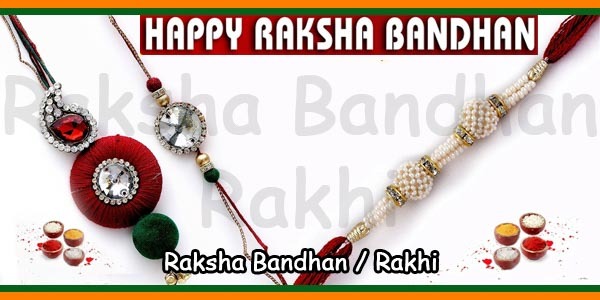 Women observe fast on this auspicious day and pray to God for the welfare of their sons. 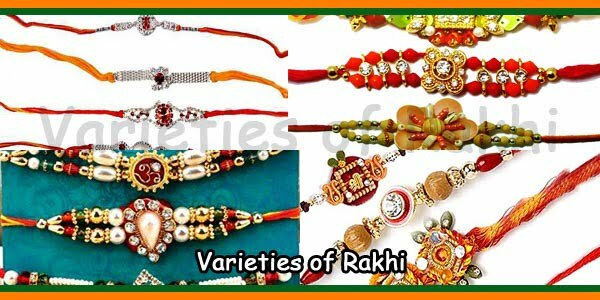 The festival indicates the commencement of the season for sowing wheat and barley, and hence it is of utmost importance to the farmers. The farmers pray to Goddess to shower her blessings for a good harvest.